Keep the bad guys away: Outdoor security cameras help detect burglars as most thieves scope out the home before they rob it. 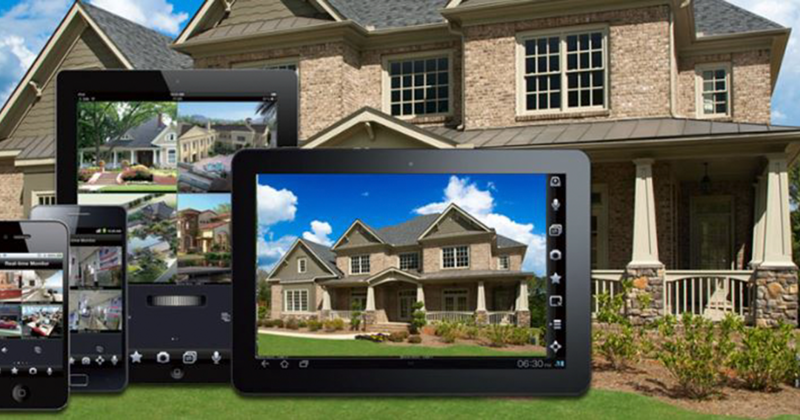 If they spot your security camera, they will probably think twice about breaking in. This keeps your family and pets inside safe, as well as your belongings and prevents you from being a victim of crime. Assist police: If a break-in does occur, your security camera will be able to show police what happened, including a description of the intruder. This can help them gather the information needed to locate the thief and maybe even retrieve your stolen items. Monitor your kids: When your kids return home from school, you will be able to see when they have made it back safely. You can also have a second set of eyes on them if your younger kids are being watched by a teenage babysitter. Being able to check in will ease your sense of worry and allow you to get your work done so you can return home yourself. Check in on your pets: Now that your kids are off to school for the day and will not be able to tend to your family pets, you can keep an eye on them to make sure they are not getting themselves into any trouble. If something does happen to your belongings, you will be able to see the cause of it and implement preventable actions when you get home, ensuring your animals (and your furniture) are safe. Also, older pets that may need that extra attention during the day can be watched over as well.